The Oscar winner has welcomed her second child with longtime partner Guillaume Canet. 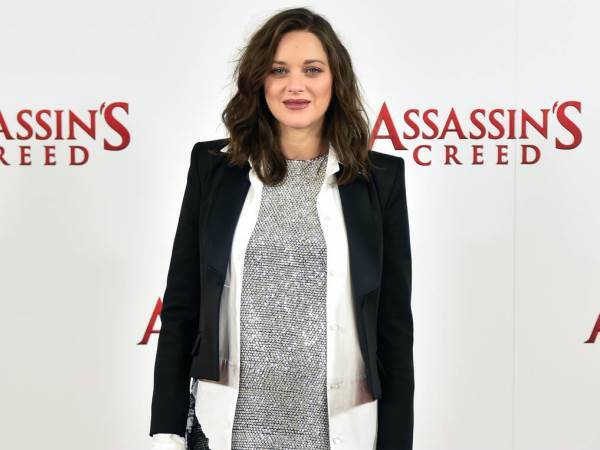 French actress Marion Cotillard has given birth to a daughter. Cotillard’s representative confirmed the news on Thursday. The couple met while working on the 2003 film Love Me If You Dare and also has a five-year-old son, called Marcel. The 41-year-old actress announced she was expecting in September via an Instagram post, in which she praised her partner of 10 years. "Many years ago, I met the man of my life, father of our son and of the baby we are expecting," she wrote. "He is my love, my best friend, the only one that I need." The Assassin's Creed star is currently working alongside the 43-year-old actor/director on the film Rock ’n’ Roll, in which the pair plays exaggerated versions of themselves. Announcing the baby news last year, Cotillard also shot down rumours suggesting she was in any way responsible for the end of her Allied co-star Brad Pitt's marriage to Angelina Jolie. Some reports suggested Jolie was unhappy with her husband's relationship with Marion, who played the actor's wife in the war movie. "I am not used to commenting on things like this nor taking them seriously but as this situation is spiraling and affecting people I love, I have to speak up," she said, adding, "I do very much wish that Angelina and Brad, both whom I deeply respect, will find peace in this very tumultuous moment."